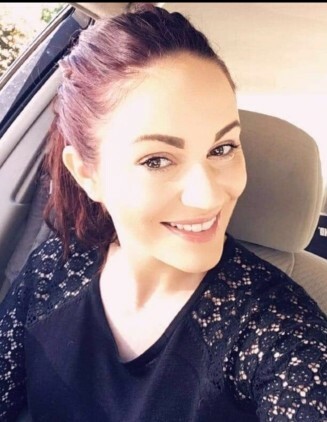 Brittney Bull, 28, of Thurmont, Maryland, passed from this life suddenly on Saturday, December 1, 2018. Born on November 24, 1990, in Washington DC, she was the daughter of John David Bull and Joelle Marie (Zahn) Hernandez. She worked as a server at Champions. Brittney always had a love of animals, especially her dogs, Percy (Bernard), Bandit and Lola. She was a beautiful person inside and out. She enjoyed her time as a model for Paul Mitchell. She was quick witted, sarcastic and had a wicked sense of humor. She was also very generous. Brittney was and will always be the cornerstone of her family, especially for her brothers. In addition to her parents and step mom, Sandy she is survived by her cherished brothers, Johnny Bull, Andy Bull and his wife Elizabeth "Liz" and Austin Bull; grandparents, Bruce and Elena Zahn; step grandparents, Ron and Elsa Strohecker; and numerous aunts, uncles, cousins and friends. She is preceded in death by her grandparents, John H. and Elizabeth A. Bull; great grandparents, George Alfred and Helen Jones and Donald and Mary Zahn. The family will receive friends from 4:00 pm to 8:00 pm on Friday, December 7, 2018 at Stauffer Funeral Homes, 104 East Main Street in Thurmont, MD. Memorial donations may be made in her name to the Animal Welfare League of Frederick County, 1202 East Patrick Street Suite 13A Frederick, MD 21701.